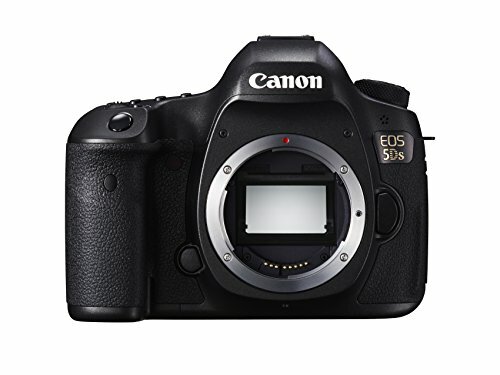 The EOS 5DS is one of the kings regarding megapixels and superb performance. You might want to get your hand on it if you’re trying to achieve detailed and crisp images. The model has 50.6MP, offering the highest resolution in the category of full-frame DSLR. It also has pixel-packed sensors that add to its powerful performance. In addition, the EOS 5DS offers you fantastic image details with its dynamic range and well-controlled noise feature. It is one of the best in the category of full-frame sensors. The D850 also offers you with superb performance for its 45.4 MP and 153pt AF auto focus feature. Using it, you can achieve stellar results all the time, but take note of its higher price tag before buying. This Nikon is one of the best offers of the brand that has been known in the world of photography for many decades, competing with other top brands, such as Canon. It also offers an excellent high ISO noise performance and a dynamic range you will appreciate. The D810 offers you with a full-frame CMOS and a great 36.3 megapixels. While it does not have as high of an AF system versus others, only having 51pt AF, it still makes a very good DSLR camera for those who can afford a much expensive camera cost. It offers a monster 36.3MP, which lets you achieve supreme precision. Regarding focusing situations, the camera has the 51pt AF system. It won’t also disappoint with its modest dimensions and handling capability. This model is a bit more affordable than the others on this list, yet it is also loaded with features you will love. It has a 23.4MP sensor, which allows you to take brilliant shots. Another remarkable feature is its weatherproof ability, making it a great investment. The D750 offers you with 51pt AF, video capabilities and advanced metering features. This product is one of the most complete full-frame DSLRs around, offering top-notch megapixels. Another remarkable feature is its brilliant megapixel of 30.4 MP sensor, helping you achieve brilliant results. It also has a powerful AF system of 61pt versus others have, making it one of the most sophisticated choices around. Check out these top DSLRs if you’re looking to take your full-frame photography to the next level. They’re great on their own, but decide based on several factors you deem useful, including the price, specifications and features.